Search in this area to find answers to any question you may have about hearing loss, hearing problems, hearing aids, hearing stores or any other queries about your hearing. You are always welcome to call us as well at 1800 554 968 or send us an email. Hearing aids are electronic devices that pick up and amplify sound. They increase the volume of sounds that you normally wouldn’t hear, so you can. The hearing aids we offer at bonavox hearing specialists do much more than amplify sound. The aid’s sophisticated circuitry is programmed by our hearing care professional to suit your unique hearing loss, and the high-tech features are selected based on your lifestyle. Our hearing aids will not only improve your hearing, but your life. How do hearing aids work in a technical sense? At their most basic, hearing aids are microphones that convert sound into electrical signals. An amplifier increases the strength of the signal, then a receiver converts it back to sound and channels it into the ear canal through a small tube or ear mold. A battery is necessary to power the hearing aid and to enable amplification. What advantages are there in having two hearing aids? Some studies suggest that it may be helpful in the long term to keep an ear stimulated rather than leaving it without a hearing aid. Your hearing aids will be marked red and blue. Red will always be for the right ear. The blue will be for the left ear. How many years should I expect my hearing aid to last? The average hearing aid lasts between 3 – 5 years. Today’s hearing aids come in a wide variety of sizes and styles — from those that sit behind the ear to completely invisible hearing aids — and feature different technology levels to match your specific needs and budget. We at bonavox hearing specialists offer all modern hearing aid styles. Book a free appointment with our Audiologist at your local bonavox hearing specialists store to find out more. As well, you can contact us at 1800 480 480 or 01 874 2341. What is the difference between analogue and digital hearing aids? Digital Hearing aids offer far better sound quality and clarity and have largely taken the place of analogue ones. 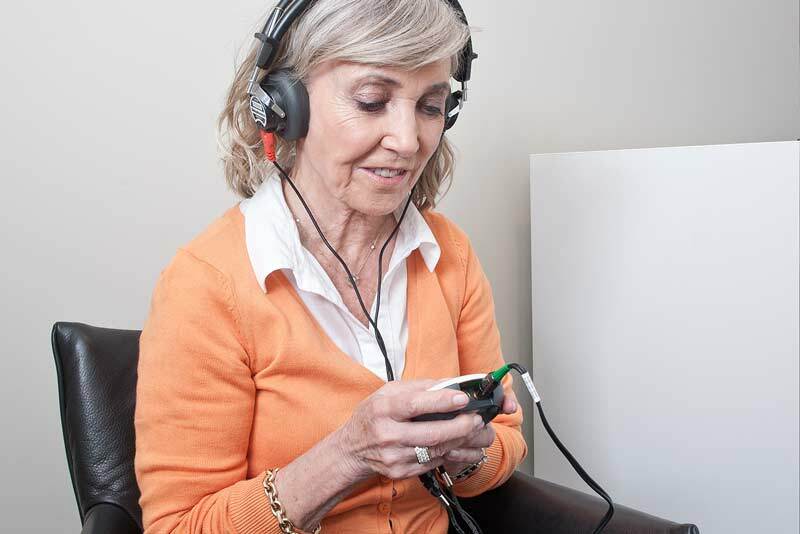 They have a tiny computer inside which processes sounds and this makes it possible to customize them very precisely to suit each individuals hearing loss. Many digital aids can be programmed with different settings for different sound environments; for example, one program for a quiet living room and another for a noisy restaurant. Will I need one or two hearing aids? Two-ear hearing (called "binaural") is better than one. If you have hearing loss in only one ear, you may only need to wear a hearing aid in your bad ear. However, wearing two hearing aids has been proven to improve speech understanding in noise, localization (finding the source of sounds), and overall sound quality when compared to wearing only one aid. Age and noise-related hearing loss tend to affect both ears, but your hearing profile for each ear is probably different. If there is a loss in both ears, you will probably benefit more with a binaural solution. Today, more than 80 percent of all hearing aid fittings are binaural, or involve both ears. People report a higher level of satisfaction than purchasers of a single hearing aid. You can book a free appointment with our Audiologist or call us at 1800 480 480 or 01 874 2341 and discuss the degree of your hearing loss with us. Can I wear my hearing aids when I take a shower, bath, or when I swim? How do I tell the right hearing aid from the left hearing aid? Why is my hearing aid squealing? To turn the hearing aid on, close the battery door. To turn the hearing aid off, open the battery door. It is not harmful, but not necessary, to remove the battery completely from the hearing aid. Is it OK for me to sleep in my hearing aids? What is the white thing at the end of the hearing aid that goes into my ear? That is the wax filter. It is there to prevent wax from getting into the delicate components of your hearing aid. What is the hole next to the wax filter on my hearing aid? That is the vent. The vent allows for some sounds to enter your ear naturally as well as provide ventilation for your ear canal. My custom hearing aid has a volume control. Which way do I turn it to change the volume? What should I do if the battery discharges too quickly? All of today's hearing aid batteries work on the basis of zinc and oxygen. That is why you will always find a colored sticker on one side of the hearing aid battery. Check the hearing tube and earpiece for earwax or moisture. Check the hearing tube for damage (color changes, hardening, or cracks) and replace it if necessary. You experience discomfort or pain despite correct placement of the earpiece. Earwax can no longer be removed from the earpiece opening. The earpiece tube is yellow and brittle. You can no longer adjust to the desired volume because the hearing aid starts to whistle. You can contact your local bonavox hearing specialists store by calling 1800 480 480 or 01 874 2341 or booking a free appointment online. A simple cloth or tissue can be used to wipe down the hearing aids. A brush can be used to help remove more stubborn or stuck debris if necessary. How often should I clean my hearing aids? How often does the wax filter need to be changed? How to protect my aid from dirt? - Always make sure that your fingers are clean and dry before touching your hearing aid. The microphone input is very small and can become blocked if handled improperly. Always separate the earpiece from the hearing aid before cleaning it. The hearing aid should never come into contact with water! When you connect the earpiece to your hearing aid, it has to be absolutely dry. What are the various sizes of hearing aid batteries? Why do I need to open the battery door at night? Opening the battery door at night ensures that the battery is not being drained, allowing for more economical use of your hearing aid. As well, it allows air into the hearing aid, which is helpful in preventing moisture build-up. Why do Zinc Air hearing aid batteries have a tab? How should hearing aid batteries be stored? How long is the running time of a hearing aid battery? The running time of the hearing aid battery depends on the hours of use per day, the amplification and the type/features of the hearing aid being used. What do I do if a battery is swallowed? Hearing aid batteries, whether they are used or new, must be stored out of the reach of small children and pets to prevent them from swallowing a battery. If batteries are ingested, seek medical help immediately. Do more air holes mean a longer battery life and greater power? An important factor for longer battery life and greater power is the quality and design of the electrodes. The number and size (diameter) of the air holes have as well an influence on the power of the battery. Why is my hearing aid not working despite having a new battery? Not enough time for battery to be activated/charged after removal of the tab. Why does my hearing aid battery suddenly last a shorter time? Environmental influences (e.g. humidity, temperature). How do I dispose a used hearing aid battery? Zinc Air button cell batteries are classified as non-hazardous waste. However, it is recommended to bring the batteries to the common local collecting points for batteries to make sure they can be recycled. Why are hearing aids that look the same different in price? My hearing aid requires repair, can I send it to bonavox hearing specialists? Do you offer any support once I've purchased my hearing aids from you? Should I consider buying hearing aids by mail order or via the internet? How do I know hearing aids will work for me? My hearing aid whistles sometimes when I am putting it in my ear. Is this normal? I suspect I might have a hearing loss. What should I do next? By visiting bloom’s website, you've already taken an important first step in understanding and treating your hearing loss. Can hearing aids enhance my quality of life? Hearing aids can improve your quality of life by boosting your self-confidence and reducing your stress level. It’s hard to be confident and relaxed when you are unsure of your hearing. I think a relative/friend of mine has a hearing loss. What should I do? How often does hearing loss occur? How can I maintain a good hearing? How common is it to have tinnitus? Around 250 million people worldwide suffer from tinnitus. And many people with hearing loss experience tinnitus at some stage. At bloom, we are expert hearing specialists with a unique methodology. Widex Zen Therapy is a proven method that combines counselling, sound stimulation, stress reduction and amplification. Our Customer Care Advisor is ready to handle your enquiries.